Since its founding, UNLV Boyd School of Law has been a leader in workplace law, with several nationally and internationally known faculty members in the field. William S. Boyd Professor of Law, is an internationally known employment and gender law scholar who has published nearly fifty law review articles and book chapters as well as three books. She serves as a Visiting Foreign Professor at Adolfo Iba&‌ntilde;ez University in Santiago, Chile, where she gives an annual lecture in Spanish on Sexual Harassment Law in the United States. 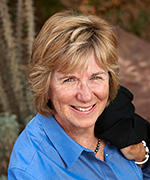 Her latest book, Masculinity at Work: Employment Discrimination through a Different Lens, published by New York University Press, will appear in March 2016. It argues that lawyers and judges should use multidimensional masculinities theory to arrive at new interpretations of Title VII law. It was recently reviewed in Jotwell: Journal of Things We Like Lots. 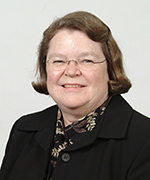 Professor McGinley is currently working on the sixth edition of her co-authored casebook, Disability Law: Cases, Materials, Problems, which will appear in early 2017.
the Judge Jack and Lulu Lehman Professor of Law, focuses on discrimination in employment on the basis of race, gender, national origin, religion and age. She also works in the area of noncompetition agreements, confidentiality agreements, and other restrictions on an individual's post-employment activities. She recently published the fifth edition of her co-authored Hornbook on Employment Law (West Academic Publishing, 2015), which covers a broad range of employment law topics for students. Last year she published the fifth edition of her co-authored treatise Employment Law, a two-volume treatise on all aspects of employment law for practitioners (Thomson Reuters, 2014). Professor of Law, is a former labor lawyer whose expertise fits well in Las Vegas. Professor Garcia's scholarly work draws on the labor movement here and nationally to comment on labor law and policy. His work examines the lessons that workers in Nevada, a right-to-work state, can impart to the rest of the country. Moreover, his recent work has focused on the public sector labor law issues that have been so important nationally and in Nevada during the last legislative session. 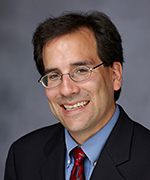 Besides publishing in several leading law reviews, Professor Garcia's 2012 book, Marginal Workers: How Legal Fault Lines Divide Workers and Leave Them Without Protection (New York University Press), has received positive reviews in publications ranging from the Law and Society Review to the journal Work, Employment and Society.